When I first started my blog I didn’t have the foggiest what I was doing – and I'm sure I'm not the only one! It was excited yet very apprehensive. I had a lot of questions – How do I get the layout to look good? How do I write my posts? Will people even read what I write? But its all about practise and finding out what works for you! This is one of the most important bits of advice going! Your blog name will always be there – unless you decide to change it so it has to be different and easy to remember. I mean "Beautyblogger9846732" isn’t going to very practical! When choosing a name think about something that is personal to you and also what your blog is about, my blog name is Touch of Belle which wouldn’t be suitable if I was going to write a gaming blog! There are quite a few blogging platforms out there but I created mine through Blogger which I would really recommend as it's easy to use and is probably the best for new bloggers, before Touch of Belle was born I started my first ever blog through WordPress, although many people use this and find it ok I had a lot of problems with the actual platform and there is no way to contact them to help find the problem which Is what I like about Blogger as there is someone to contact for help. But it is your decision so make sure you look into both before you decide! I started designing my blog myself and it was one of the hardest things to do! Im not exactly very good at html I know my fair share but nothing amazing! When I came across Emily and she offered to design my blog for me but I think it is important to show your personality in your design, a header is important to show your blog name but not to be too overcrowded at the same time, another thing I have found is to choose a type that is easy to read although nice calligraphy type writing may look nice sometimes its not easy to read if it’s a long paragraph so I would recommend using times new roman. Honesty is the best policy – if you review a product people will trust your opinion if you don’t like a product say why not everyone is going to like the same things but it's always best to be honest and open with your readers. Another point is to give lots of detail when explaining a product don’t just say "I really like this foundation" try and be more descriptive and say why "I really like this foundation as it's easy to blend and gives you a full coverage." It comes across more interesting and your readers get a better understanding of the product! I think when you are comfortable with your blog and know its something you like it’s a great idea to become part of the blogging community on Facebook, Twitter and Bloglovin; these are great for sharing blog links and chatting to other bloggers I really like the twitter chats as it’s a great way to interact with other people who have similar interests. Facebook is good for sharing links and there are a number of groups you can join that are blog related. Interaction is really important leave comments on other people's blogs but make sure not to spam their comments with your links and make sure you read the post you have commented on and only comment something that relates to the post. Always reply to people who email and tweet you they have taken their time to leave you a comment or an email and I think it's important to reply! 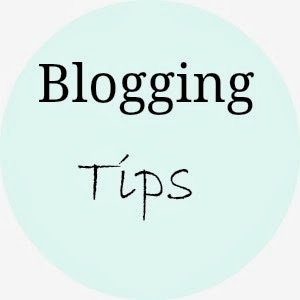 So there we have it my Blogging Tips and advice, I hope you found it useful on how to start a blog or even to build your blog! Don’t worry if you only have 1 or 2 followers the main part of blogging is to have fun, don’t give up just keep writing and the readers/ followers will come! This was very helpful thank you! I just started blogging so I will be using some of your tips, especially the social media one!! Your welcome! Every Monday I have some blogging tips so keep a look out for those! I looove blogging and can't believe I haven't done it properly before! Same I love the community! and I'm sure you have these are just my opinions! this is going to be a weekly series every Monday so if there is anything you would like to see I would love to hear from you! This is so helpful! I have been blogging for a little over a year and I totally agree with your tips! Glad it was helpful! this is going to be a series every Monday, if you would like me to cover anything just let me know and I will try my best! This was a great post and very helpful, as I have only been blogging 3 months so any advice is always useful. Thank you :) I will have blogging tips every Monday so keep a look out for those! if there is anything you would like me to write a post about then let me know and I will try my best to help!